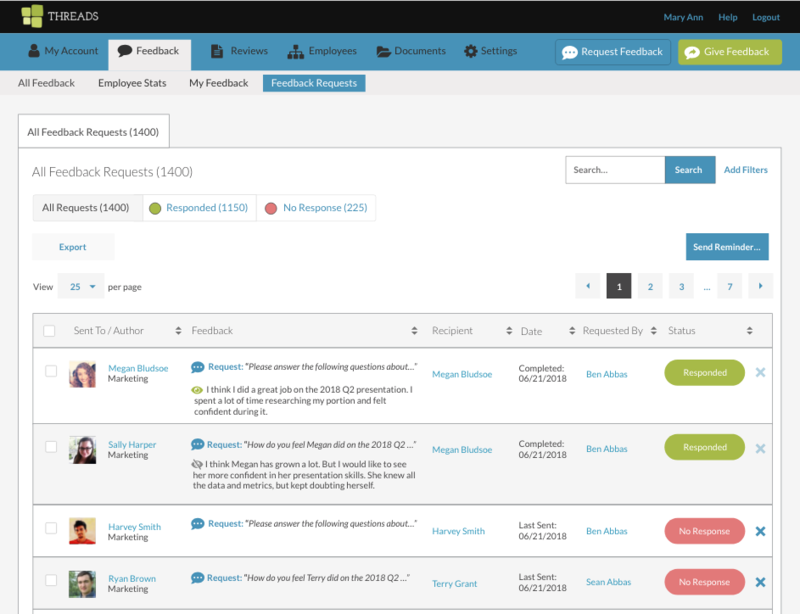 All admin users can send feedback requests to anyone within their organization. You can request the employee to provide feedback about themselves, their manager, their direct employees or others in your organization. You can decide what instructions to provide. You can attach files you want the employees to reference or respond to. Employees will receive an email notifying them that their feedback has been requested. The employee can then easily provide the feedback you have requested. You can monitor responses to the requests. And you can send reminders to those who have not responded yet. Are you ready to get your team up to speed? Feel free to email your employees this handy PDF explaining the new Feedback Request feature. 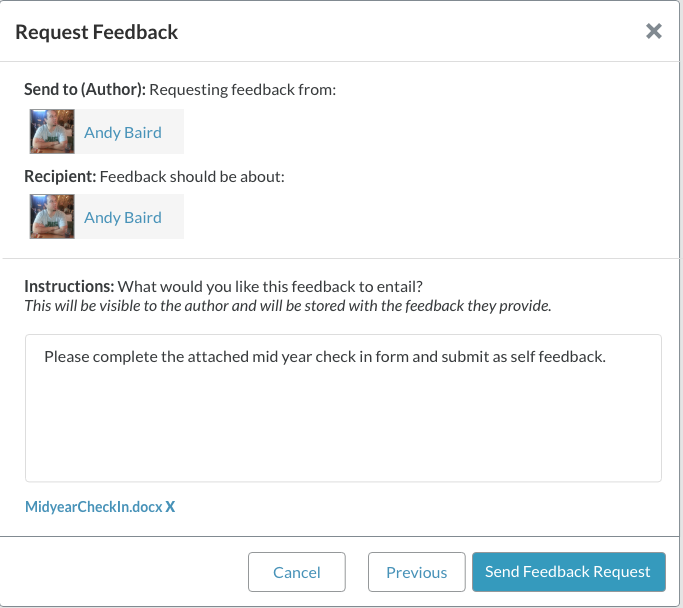 Are you looking for more information on how to create a feedback request? Click here to learn more.